I created this 3 foot ipad on www.blockposters.com for FREE. 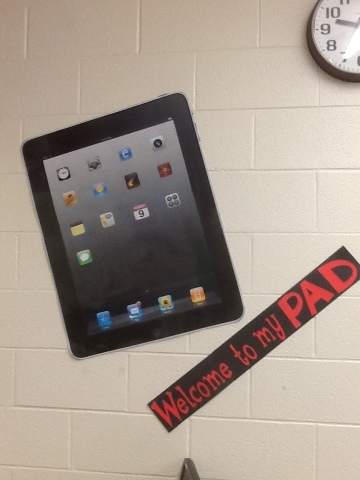 I was able to print a picture of an iPad in blocks, laminated it, and taped it together. I added a few basic apps and I will continue to add apps we use in our class. Back to school! New classroom new subject!